We’ve already extolled (and illustrated) the virtues of virtual private networks, or VPNs. 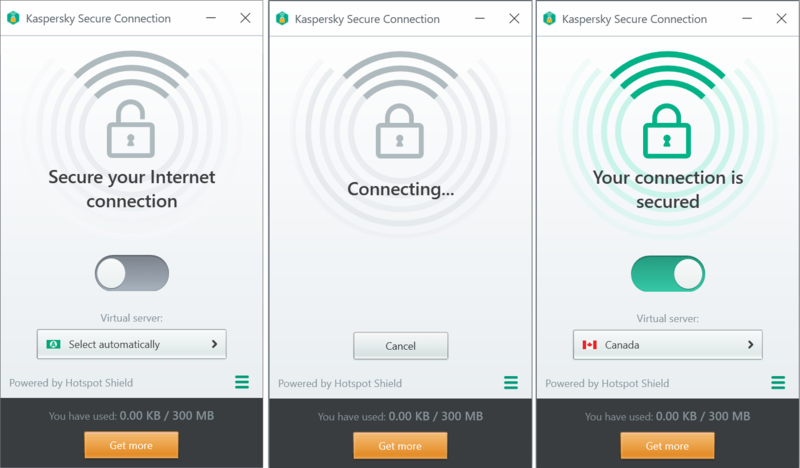 In most cases, if you join an insecure Wi-Fi connection or navigate to a site that should be secure but isn’t (for example, a bank or social media site with an http rather than an https connection), Kaspersky Secure Connection will pop up to ask if you’d rather use its VPN service. Kaspersky Secure Connection is automatically installed once you install Kaspersky Internet Security or Kaspersky Total Security. But we know that some people prefer to have more control over their computing environments, so you can set up Kaspersky Secure Connection not to prompt you. However, if you feel like you need a VPN, here’s how to re-activate it. 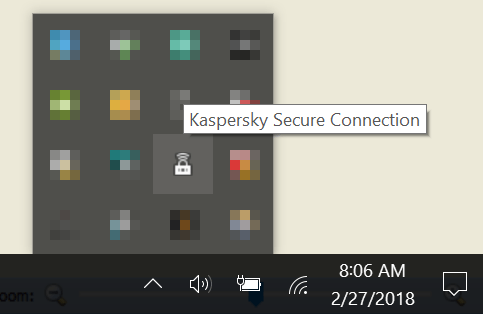 Right-click on the notification area of the Windows taskbar and see if Kaspersky Secure Connection is running in the background. Click on that icon to open it. Or search for “secure connection” in the Start menu to open the utility from there. Slide the toggle switch over to activate, leaving the Location set to select automatically, unless you have a reason to change it. Enjoy safer surfing with the VPN activated, and switch it off once you’re back on your own secure network. Kaspersky Cloud Sandbox: You can’t hide forever!